Dr. Hawari is interested in performing experimental and computational investigation (simulations) to understand the fundamentals of the interaction of radiation with matter and the resulting ramifications that impact the engineering of nuclear systems. Currently, his research group conducts measurements and simulations (using ab initio and molecular dynamics methods) to investigate the scattering of thermal neutrons in matter and to generate thermal neutron scattering cross section data. In addition, they apply atomistic modeling techniques and develop experiments to study the behavior of accident tolerant fuel in the extreme radiation and temperature environments of a nuclear reactor. Hawari’s group is also engaged in the validation and benchmark of modern nuclear reactor simulation tools in support of transient testing of nuclear fuel. All of these thrust areas directly support the development of Advanced Nuclear Reactors including Small Modular Reactor concepts. 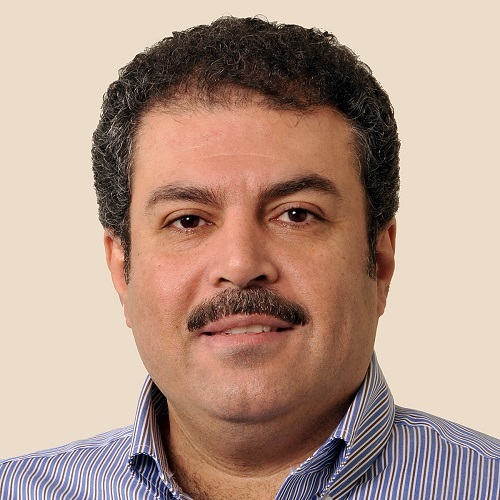 Dr. Hawari's work covers various areas that are important for the design of Advanced Nuclear Reactors, including thermal neutron scattering cross sections data generation, computational and experimental investigation of accident tolerant fuel, and the development of modern computational methods to support analysis of transient fuel testing experiments. Brown, D. A., Chadwick, M. B., Capote, R., Kahler, A. C., Trkov, A., Herman, M. W., … Brown, F. (2018), Nuclear Data Sheets, 148, 1–142. Thermal scattering law analysis will be performed in this work for selected materials important to advanced reactors. It is proposed to procure and install a hot cell with 6â€ of lead shielding. This hot cell would allow expanding the handling and processing of radioactive materials at the NRP. The two station hot cell would be fitted with two lead-glass viewing windows, three tele-manipulating arms, a vertical pass through, an interior hoist, and an air exhaust system maintaining negative pressure while utilizing HEPA and charcoal air filters. A radiation hardened color camera with remote pan-tilt-zoom capabilities would be installed inside the cell allowing for the close examination and inspection of highly radioactive specimens. A stainless steel transfer cask would be procured with a 4â€ ID x 42â€H inner cavity with 6â€ of lead shielding. The cask would be configured with a drain and lifting harness allowing for insertion into the reactor pool. The cask would be utilized for the transfer of experimental capsules or apparatus, and possibly for the transfer of PULSTAR reactor fuel or reflector assemblies requiring inspection and/or repair. In this project, NCSU will focus on data collection in support of the objective described above. The data will include reactor typical signals and responses under normal operating and transient conditions. This task will be combined with identification and ranking of system components in terms of impact on safety and security of the nuclear installation. In addition, NCSU will collaborate on the implementation of the developed techniques for identifying false signals and/or signatures based on physics/engineering analysis and to develop the ability to flag anomalies as potential signs of cyber infiltration. NCSU will develop models for executing molecular dynamics simulations for selected materials. The models will be used to calculate the scattering law in ENDF format and will be provided to the National Nuclear Data Center at Brookhaven National Laboratory. This project will implement neutronic TREAT models in Monte Carlo codes such as MCNP and/or SERPENT and examine the construction of observables that can yield more detailed information during an experiment in comparison to the power coupling factor (PCP), which was the principal observable in all past TREAT experiments. The PCF represents an integral quantity that can be estimated using ex-core neutron detectors and test vehicles fuel samples and monitor wires during a low power level steady state (LLSS) calibration exercise, such as the M2 or M* calibration experiment series. However, in this project other observable will be studied that may produce spectral information about the TREAT core at steady state and during transient. This project will perform benchmark analysis relevant to thermal reactors with emphasis on the impact of nuclear data libraries. This project will investigate cybersecurity aspects of research reactors.